If you are completing your edTPA® for the first time, please disregard this information and skip to the next step - "Getting Started: Register with Pearson". Must be completed within the Pearson ePortfolio environment. Please visit www.edtpa.com for more information. Can be completed within the Chalk & Wire ePortfolio environment. 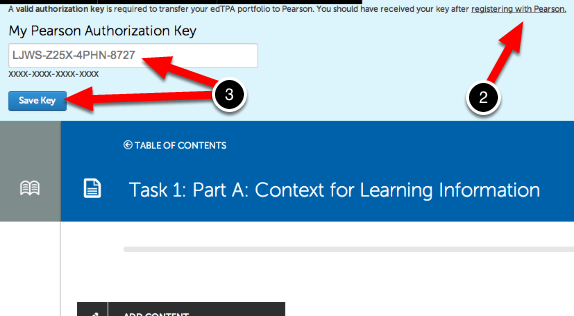 Students are required to obtain a NEW edTPA® Authorization Key from Pearson in order to facilitate the transfer of the retake portfolio. In order to submit your edTPA® portfolio to Pearson for official scoring you must obtain a valid authorization key, by registering with Pearson. If you have not yet registered with Pearson, please follow the steps below. If you have already registered and received your authorization key or if you are not submitting to Pearson, skip to "Step 1. Log into your Chalk & Wire Account". 2. On the Register page of the edTPA® website, click Next. 3. Next to Integrated edTPA® Platform Provider System option click 'Review Instructions and register'. 4. On the next screen click Register Now. 5. Click the Create an account now link. 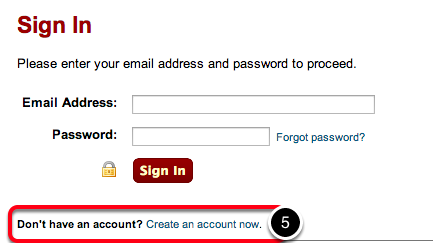 Create your account to obtain your authorization key. All edTPA® portfolios will be transferred to Pearson via the Chalk & Wire website for your institution. If you currently have a Chalk & Wire account, please login either via your school's Learning Management System (Blackboard, Canvas, D2L, Moodle, etc. ), website portal or Chalk & Wire login page. If you do not have an active Chalk & Wire account with your institution, please contact your local Chalk & Wire administrator for assistance in obtaining an account. 3. Click on the New Portfolio button. 4. Enter a Name for your portfolio. We recommend naming your portfolio something like, "edTPA Portfolio"
5. Select the edTPA® department or an alternate department if you have been instructed to use another. 6. Select the appropriate Table of Contents for your certification subject area and submission year. 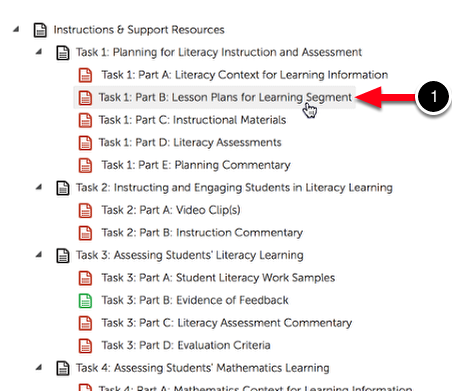 If you do not see the 'Select Department' drop-down menu or the appropriate Table of Contents for your edTPA certification subject area and submission year, click on the Can't find your table of contents? 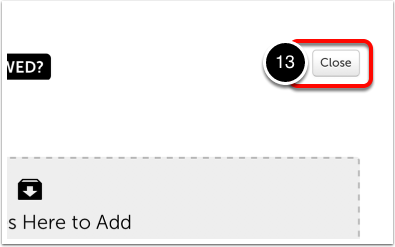 link above the Create button. 1. 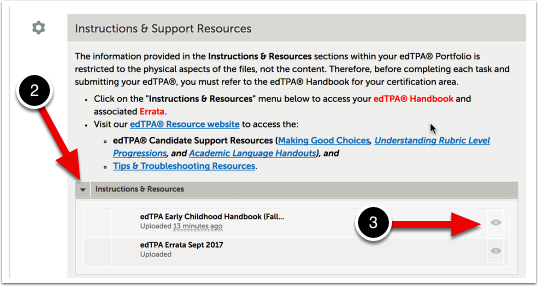 Click on the Instructions & Support Resources section to access your edTPA® Handbook and other resources. 2. 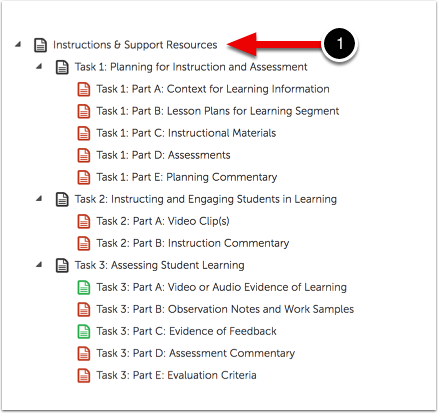 Click on the triangle to the left of the Instructions & Resources area. 3. Click on the View icon to the right of the edTPA® Handbook to download it to your computer. You can also download the Errata from here. You can also access our edTPA® Resource website and links to the edTPA® Candidate Support Resources from this page of your portfolio by using the links provided. How do I use my Authorization Key? You do not have to have or have entered an authorization key in order to begin working on your edTPA®´ portfolio. 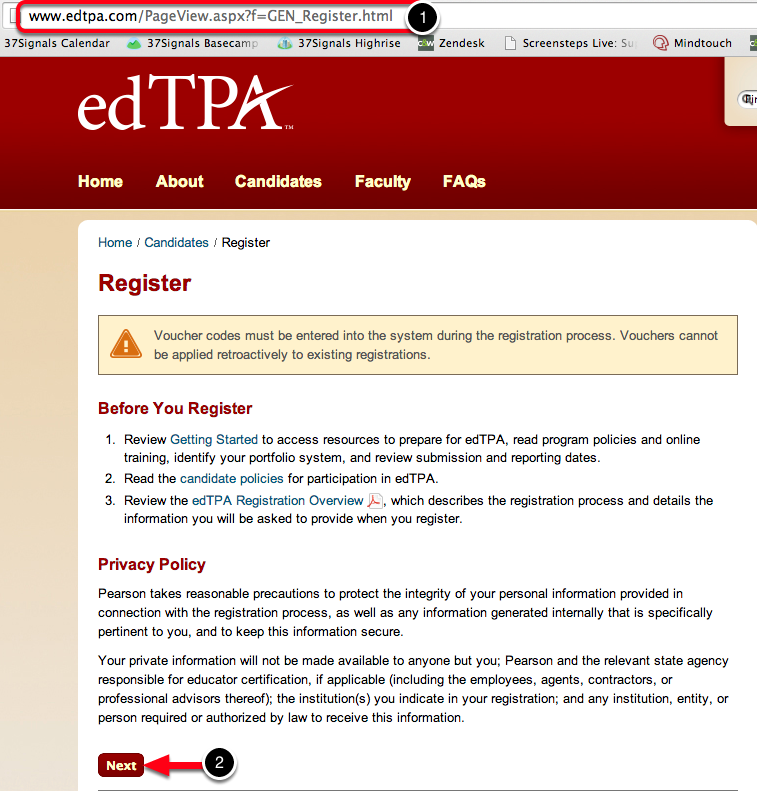 However, you must have entered the áuthorization key, in order to transfer your edTPA® portfolio to Pearson. If you receive an error message when entering the authorization key, check your authorization key for typos. If you continue to receive an error message, ensure that the certification area for which you registered with Pearson matches the certification area you selected for your edTPA® Portfolio. If they do not match, you will need to resolve the one that is incorrect first. 1. Before you can enter your authorization key, you must select any section in your edTPA® portfolio by clicking on it. 3. Enter your authorization key into the text field provided and click Save Key. A confirmation message will then appear at the top right corner of the screen. 1. Click on the Portfolio Page to which you would like to add work. 2. Click on the Instructions & Resources section of the portfolio page to review the types of allowable files, number of allowable files, as well as any additional information. 3. Use the Add Content menu to select Add File. The Add File option allows you to upload files from your computer, Dropbox, or Onedrive. Each file that you upload will appear in your portfolio and will also be saved in your account's File Library for later use. 4. Click on the Insert Content Here bar that corresponds with the space that you would like to add your content to reveal the file uploader. 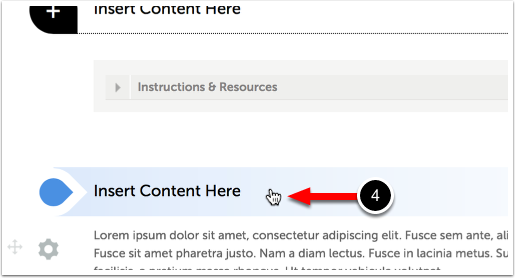 You may add content anywhere on the page that an Insert Content Here bar appears. Add Files: This feature enables the user to select a file from their local hard drive. 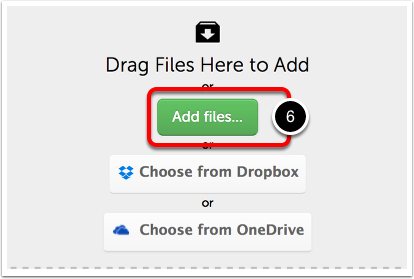 Choose from Dropbox: This feature enables the user to select file(s) from their Dropbox account. Choose from OneDrive: This feature enables the user to select file(s) from their OneDrive account. Alternatively, simply Drag-and-Drop your file onto the window. The following steps outline the process for uploading using the Add Files option. 6. Click on the Add Files button. 7. Locate and Select the file that you would like to upload. The file(s) that were selected will appear in the uploading window. 9. Optionally Edit the Filename(s) of the file(s) that you would like to upload. 10. Optionally Remove the File from the list of file(s) that you would like to upload. 11. Click on the Start Uploading All button to begin the upload. You may only change the names of files that were added to the upload list using the 'Add File' option. If you would like to alter the names of files selected using Dropbox or OneDrive, you must do so in those accounts prior to selecting them for upload in Chalk & Wire. The upload process will begin, which you can track by watching the visual progress bar. 12. A Checkmark will appear in the file's row to indicate that it has been uploaded. Having Trouble Uploading a Video File? 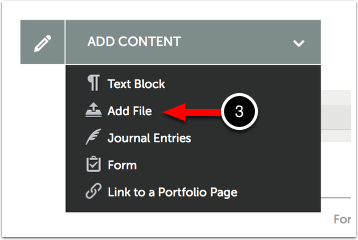 After uploading the required files for each section of your edTPA® portfolio, the icon to the left of the section will turn green. This indicates that you have met the content requirements for this part of the task. If the icon remains red after uploading your files, you have either not met the minimum number of files required or exceeded the maximum number of files allowed. 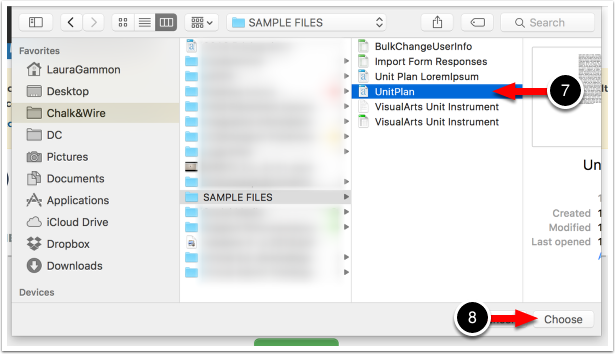 If the icon is green before uploading your files, ensure that you review the directions in your edTPA® Handbook thoroughly to determine if you are required to submit files for these sections or not. Once the required files have been uploaded to your edTPA® portfolio, all sections will turn green. To transfer your edTPA® portfolio to Pearson for official scoring, select any part section (one with a green icon) in your portfolio by clicking on it. 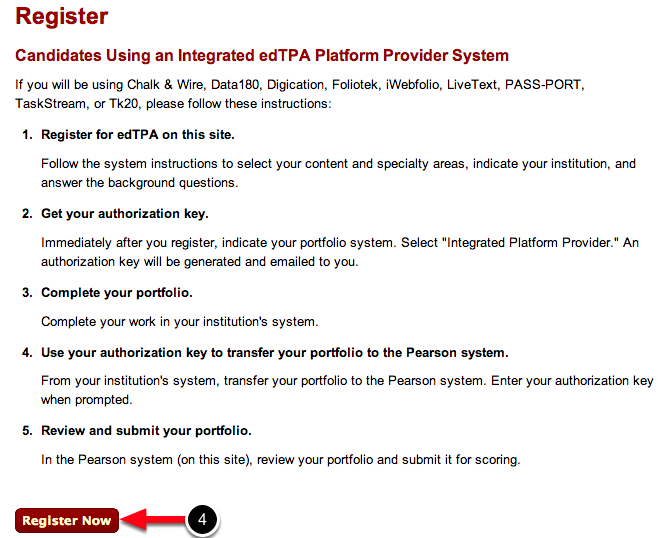 To transfer your edTPA® Portfolio to Pearson for official scoring, click the Transfer to Pearson button. Which Sections do I Need to Transfer From? When transferring your edTPA® portfolio to Pearson you do not need to transfer each section separately. Clicking the 'Transfer to Pearson' button from one page within the portfolio will transfer the entire portfolio. 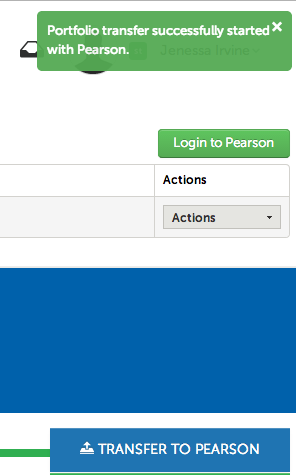 You will receive a message confirming that your portfolio transfer has successful started with Pearson. The transfer process can take anywhere from a couple of hours to a few days, depending on how many other students are transferring their edTPA® portfolios at the same time. 1. After you have clicked the Transfer to Pearson button, the status of your edTPA® transfer will be displayed at the top of your portfolio screen. 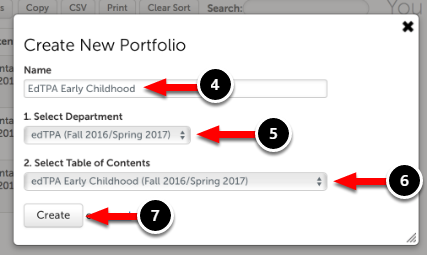 You can use the Actions menu to preview your portfolio (Work) or cancel your transfer (Cancel) if it has not yet been collected. If you need to make changes to your EdTPA portfolio but have already transferred it, you can make the changes and transfer again. You can transfer as many times as you would like; Pearson will only review the most recent version. Make sure that you are satisfied with your most recent version/transfer before continuing to Step 2. 2. Once Pearson has collected your transferred files, you will receive an email confirmation. In order to officially submit your edTPA® to Pearson for official scoring, you must sign into the Pearson ePortfolio system to ensure the transfer was successful and submit your edTPA® files. You will receive an email notification confirming that your assessment has been successfully submitted. At this point, no further action is required. You may or may not be required to submit your edTPA® internally. 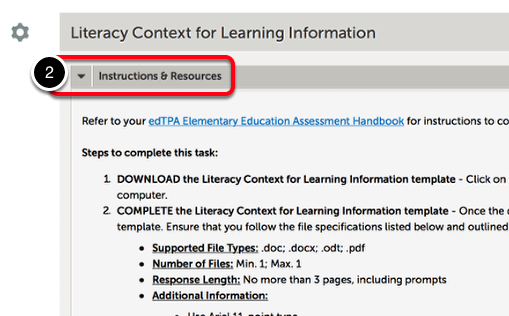 If you are not required to submit your edTPA® internally for local feedback, please skip to the "Transfer edTPA Portfolio to Pearson for Official Scoring" part of this guide. Internal submissions can be made in multiple ways. If you are not sure which submission procedure to follow, please contact your instructor or the local edTPA® Coordinator at your school for instructions. 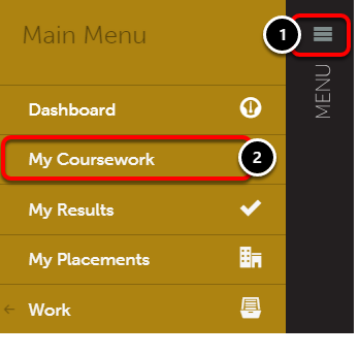 Each PART of each task separately: Click on each task subsection (e.g.. Task 1: Part A, Task 1: Part B, etc.) and make a submission from each. 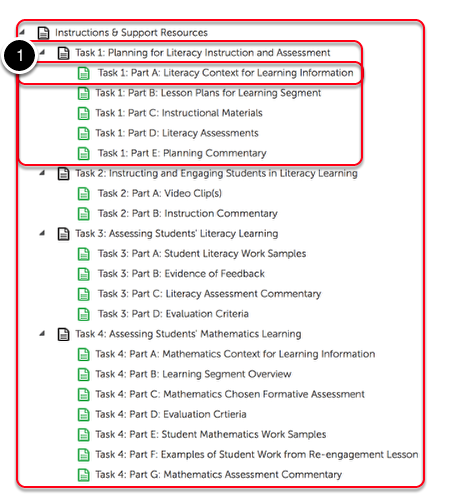 Each TASK separately: Click on the first task subsection of each task (e.g.. Task 1: Part A, Task 2: Part A, Task 3: Part A) and make a submission from each. 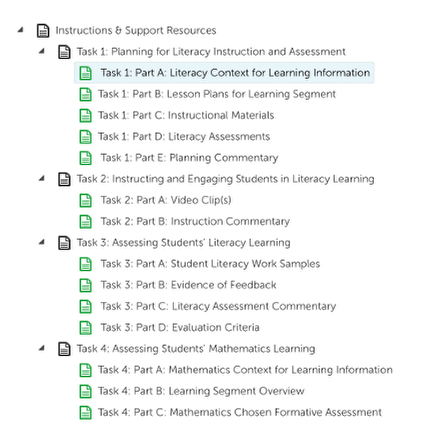 Entire PORTFOLIO at once: Click on ONE task subsection (we recommend you select Task 1: Part A: Context for Learning Information) and make only one submission. 3. 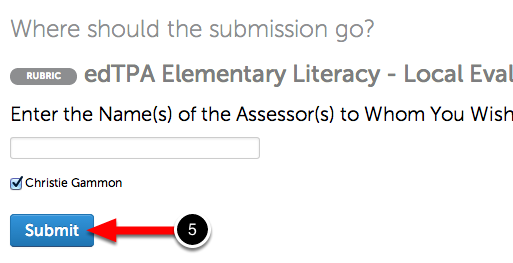 Enter the Name(s) of the Assessor(s) to whom you wish to submit your edTPA Portfolio. 4. When you see the name appear as an option, click on the name to select it. When the Assessor(s) name(s) appear with checkmarks next to them, you are ready to submit. You will receive a message confirming that your submission has been successful. Repeat these steps only if you are required to submit each part of each task separately.